I am sometimes late to the party, but when I get there I drink my share. 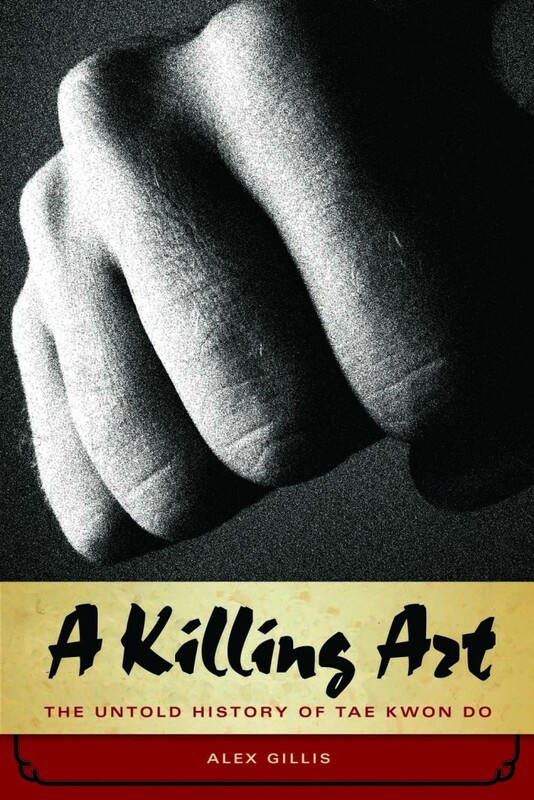 Which is why I am thrilled to review “A Killing Art”, by Alex Gillis. This book, which was written in 2008 somehow escaped me until one of my Tae Kwon Do instructors from the past sent me a copy. And boy did I drink my share; this book is not your typical background of Tae Kwon Do as a contemporary martial art. It is a historical account of The struggle of oppressed Korea, both North and South. It is the story of the men who fought hand-to-hand in trench warfare against Communist soldiers and returned to refine the Shotokan Karate learned under Japanese rule to a uniquely Korean art that would aid the development of the emerging South Korean industrial tiger. The book is part history, part espionage, and the gradual emerging of western thought in a country that was steeped in stoic Confucian values of the past. Author Gillis has poured over 4,000 pages of the U.S. Congressional investigation known as “Koreagate”, conducted countless interviews and footnoted every reference in the book for further review. This book was researched in the best of journalistic methods and may be the most comprehensive book on the subject. “A Killing Art” centers on the struggle between rivals to create Tae Kwon Do from the trench warfare era to present time. General Choi Hong-hi was instrumental in molding Korea’s martial art from Japanese Shotokan, through the phase where nine separate schools (Tang Soo Do, Chung Do Kwan, Ji Do Kwan etc. ), all of which had Japanese or Chinese influence became “Tae Kwon Do”, or “foot-fist way”. General Choi, hardened by the war, favored a realistic fighting system and created the International Tae Kwon Do Association (ITF). Choi’s art retained killing techniques, but began to be out shadowed by the emerging sport version favored by Korean Secret Service official Kim Un-yong. Here begins the internal war between the original battlefield martial art and Olympic sport Tae Kwon Do under the World Tae Kwon Do association (WTF). Under treaties between the U.S. and South Korea, money for development flowed into South Korea in the 1960’s, and Korea sent 300,000 trained soldiers to aid the U.S. and South Vietnamese in the Vietnam war. Likewise, thousands of U.S. servicemen were trained in using Tae Kwon Do in hand-to-hand combat. Tae Kwon Do became intrinsically linked to war and espionage, with thugs and gangsters enjoying it’s use also. Author Gillis describes how scandals developed involving the Korean CIA, shakedowns and kidnappings in Europe, The U.S. and elsewhere that led to misery and torture under the hands of Korean dictatorships. Gillis himself interviewed some of these agents in researching the book. Here-in-lies the dark side of the martial art known as Tae Kwon Do. Alex Gillis pulls no punches in describing how Tae Kwon Do fell into decline with Olympic Tae Kwon Do and the shopping mall McDojo era. He describes the scandals revolving around the Olympics, and how the sport was corrupt and too boring for spectators to follow. The martial spirit was replaced with a careful game of tag that was often predetermined by corrupt judging and what is referred to as “branch trimming”. What sticks out most clearly, is that the same issues and criticism of Tae Kwon Do as a sport were played out by a bitter, aging General Choi (who appears to have been a North Korean agent) against his rival, the KCIA-embedded Kim Un-yong. In “A Killing Art”, Alex Gillis has compiled the best history of war-torn Korea and the subsequent dictatorships, the scandals involving espionage, U.S. Congressional members, and the pure athleticism of the men of Tae Kwon Do. -It’s one of my favorites, and has informed me towards future projects of my own. The majority of readers who receive this newsletter already know the real history of Tae Kwon Do, Tang Soo Do, Korean Karate and other Korean arts, so this month’s issue is for your students and friends. Please share on social media, as new martial artists and many young people have little idea about their art’s true history. The following is based on my book, A Killing Art: The Untold History of Tae Kwon Do, and I’ll post it on Facebook, Instagram and Twitter. 1938: Choi Hong-Hi (fifth from the left, in the third row from the front) starts training in Shotokan Karate in Japan, joining many other Koreans. This Karate later becomes the foundation for Tae Kwon Do. 1946: As a lieutenant in the South Korean military, Choi teaches Korean Karate, or Tang Soo Do, to his soldiers, but starts thinking of creating his own techniques, partly because he hates Japan and is ashamed that he’s teaching one of its arts. 1952: After the Korean War, Choi recruits a Karate expert, Nam Tae-Hi (wearing a tie in the photo), to teach martial arts to soldiers. SuperNam, as I call him, is famous for fighting communists with his bare hands during a three-day battle in the Korean War. Nam and other athletes bring the art to life in the coming decades; Choi rarely demonstrates martial arts to anyone. 1955: During a party at a Korean geisha house, Choi presents a name that he created, ‘Tae Kwon Do,’ to other martial arts leaders. ‘Tae’ means ‘jumping’ or ‘leg strike.’ ‘Kwon’ means ‘fist’ or ‘hand strike.’ ‘Do’ means ‘art’ or ‘way of life.’ He also starts a creation myth that TKD is thousands of years old and is based on Korea’s traditional game of T’aekkyon. No one believes him. 1960: After years of South Korea hiring academics to make up stories about HwaRang warriors to boost the country’s image, Choi publishes a Tae Kwon Do book that does the same. He plagiarizes techniques from a Karate book and promotes fictions about the HwaRang. In reality, the HwaRang were singers and dancers, not martial artists. Still, today, people claim that TKD is based on HwaRang ideals and other fake history. 1961: Kim Un-Young, a spook in the South Korean Central Intelligence Agency, supports the country’s new dictator, and they begin recruiting Korean Karate experts as part of violent espionage missions in the U.S., West Germany, Australia and elsewhere. 1962-1975: More than 800 Korean instructors teach and use Karate and TKD in the Vietnam War. Korean soldiers are known as ruthless fighters, partly because of their martial arts training. Today, this type of ‘traditional TKD’ or ‘combat TKD’ is dying out but is still practiced in many parts of the world. 1966: Choi creates the International Taekwon-Do Federation (ITF), consolidating his athletes’ work in creating 24 patterns, jumping kicks, the “Theory of Power” and other things that Korean athletes show off during world tours. 1970: Kim becomes president of the Korean Tae Kwon Do Association and supports gangsters and the South Korean dictatorship as they target Choi and his athletes. 1972: Kim and South Korea steal Choi’s ‘Tae Kwon Do’ name to start the World Taekwondo Federation and the Kukkiwon, the new headquarters for TKD. An estimated one million people practice the art. Choi flees to Canada. 1972-1979: Gangsters run the Kukkiwon as the South Korean dictatorship continues recruiting martial artists for illegal missions to harass and torture Koreans overseas. Together, they cajole, bribe and threaten Choi’s instructors to leave the ITF and join the unfortunately named WTF. 1979: After years of planning (and threats to his life), Choi flies to his long-time enemy, North Korea, to ask dictator Kim Il-Sung for help in expanding Tae Kwon Do and countering the WTF and the South Korean regime. Many instructors try to convince Choi not to go to NK, but he says he has no a choice. 1980: An estimated 20 million students practice TKD around the world. Choi leads a team of masters to North Korea. They start training agents in TKD, as the martial art becomes part of the Cold War. Within a year, Choi is also part of a North Korean plot to assassinate the South Korean president. 1981-1988: South Korea bribes members of the International Olympic Committee to allow the country to host the 1988 Olympics and include Tae Kwon Do as a demonstration sport. In response, WTF leaders set up a form of cheating, called ‘branch trimming,’ in which Olympic judges rule against the strongest competitors in early sparring matches so that pre-chosen athletes, usually South Koreans, win gold medals. The cheating would continue for decades. 1990s: Kim is a powerful, corrupt leader in international sports, and Choi is accused of being a vicious communist. While the South Korean sport grows quickly, the North Korean version loses most of its instructors. Still, both men aim higher, using their Tae Kwon Do as part of shady plans to reunify North and South Korea. Today, the sketchy merger talks continue. 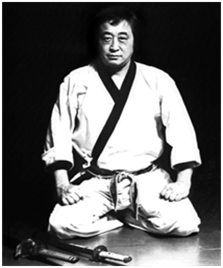 2002: Choi dies from cancer, and his Tae Kwon Do splinters into tiny groups. 2004: Kim goes to jail for embezzlement and bribery, and a prosecutor says that corrupt politicians and criminal gangs have ruled Olympic Tae Kwon Do for decades. The money keeps flowing, however, as the WTF elects a new president. 2008: Olympic cheating during sparring matches continues, as do financial kickbacks and corruption in TKD organizations. A violent criminal becomes director of the Kukkiwon, the world headquarters of Olympic Tae Kwon Do. 2012: Contracts that muzzle coaches and athletes at the Summer Olympics result in few participants complaining about the judging in sparring matches at the 2012 Games, in spite of problems with new electronic gear. The ‘World Taekwondo Federation’ changes its name to ‘World Taekwondo’ in 2017. 2019: North Korea still uses Tae Kwon Do in its diplomatic and spy missions. Its South Korean Olympic allies still make vague, multi-million-dollar sponsorship deals. But things seem to be getting better — unless, of course, people are just being sneakier. This entry was posted on March 19, 2019 at 3:05 pm and is filed under Hidden History. You can follow any responses to this entry through the RSS 2.0 feed.